Packed with the best features to deliver outstanding performance, this Nexus 7 Tablet is sure to give you the best tablet experience ever. Carry around this powerful yet compact pocket-sized Tab to remain connected and have an easy access to your personal data while you are travelling. Combining the best of power and efficiency, the Nexus tablet runs on a Quad-core processor promising high-speed and fluid performance. Kill your boredom by playing the most advanced games on your tab while you experience instant responsiveness and high-end graphics. Offering the option of free cloud storage of all your personal data, the Nexus provides you with the luxury of accessing your data from your laptop or PC. With the one reliable personal assistant that you’re sure to be dependent on, the Google Now app helps you out with knowing the weather, navigation and almost anything you’d want to know. In-built with a 1.2MP front facing camera, you can keep in touch with your loved ones and bridge the distance as you video chat with them. 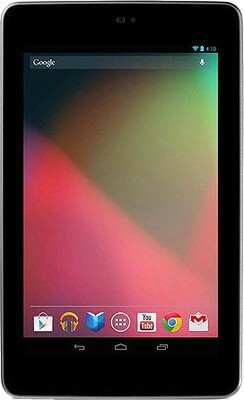 Stay connected on the world wide web and share media using the Wi-Fi and Bluetooth features that this Nexus 7 has been integrated with.